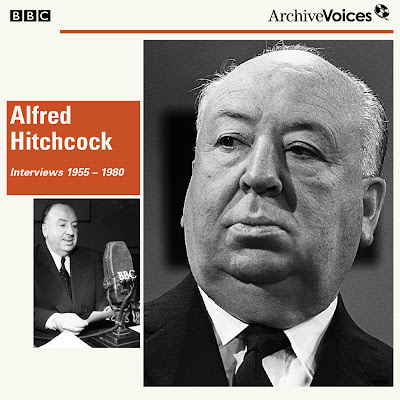 BBC Archive Voices was created for AudioGo that specialises in audio books. 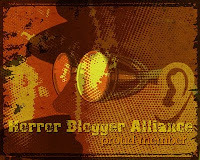 The one I am reviewing today features archive interviews with the master of suspense Alfred Hitchcock. The audio book consists of 9 different interviews spanning around thirty years from the 1950's up to the 1970's. I had been concerned that it would concentrate too much on Hitchcock as a person but was delighted to find that it is mostly about the various films he has done. I have not seen all of his films, Rear Window for one is a film I have always wanted to see but not yet got around to doing so, a lot of the films talked about I had heard of at least, though I did study the films of Hitchcock during A-Level Media Studies back at sixth form so would be expected. There is some interesting talk of Psycho giving more depth into that, such as how there is only horror shown at the beginning and that it is left more and more to the viewers imagination as it goes along, the infamous shower scene is discussed briefly, and also the stairway scene death. Also there is a bit of talk about The Birds including Hitchcocks reason for filming it in colour and what the film really means; humans taking nature for granted. He argues is it wonder nature would turn on us when we abuse it so readily. What I didn't know about him was his big distrust of the Police which stems from being locked in a cell as a child, he always refused to drive at least in America for fear of the stress and suspense that would come should he ever get given a ticket, this distrust can be seen in many of his films where the law are shown to be incompetent. At around an hour and twenty minutes BBC Archive Voices: Alfred Hitchcock is quite fascinating, it can be purchased from the AudioGo website for £1.99 as a download, or £4.95 on CD. Has really gave me a thirst to see some of his classics I have yet to see.